Do Lip Injections Permanently Change the Look of Your Lips? Home Beauty & Style Do Lip Injections Permanently Change the Look of Your Lips? The natural aging process affects not only the skin on your face, but it takes a visible toll on your lips as well. Natural collagen keeps the lips plump and full, but it’s lost during the aging process. However, injectable dermal fillers can effectively restore natural plumpness to the lips, which is why lip augmentation is one of the fastest-growing aesthetic cosmetic procedures. These procedures must be performed by certified, experienced aestheticians, but do they have the ability to permanently change the appearance of your lips? To date, most lip injections will temporarily improve the appearance of lips by adding shape, structure, and volume. These fillers consist of a transparent, purified hyaluronic acid gel which is injected via tiny needles. Hyaluronic acid, a polysaccharide found naturally in the body, combines with water and the tiny particles swell, thus plumping and creating a collagen-like effect. They are also successfully used to correct facial lines and wrinkles in addition to restoring lip fullness. Hyaluronic acid fillers give the aesthetician total control over the aesthetic effect. By using carefully controlled amounts of the filler, the desired level of lip volume can be achieved over several sessions. Any unwanted bumps or lumps caused due to lip movement can also be corrected. Some hyaluronic acid fillers are combined with lidocaine, a local anesthetic. Restylane Silk is the only FDA-approved hyaluronic acid filler for lip augmentation, though other brands, like Juvederm and Perlane, have been successfully used. Restylane Silk is approved only for patients 21 and older. 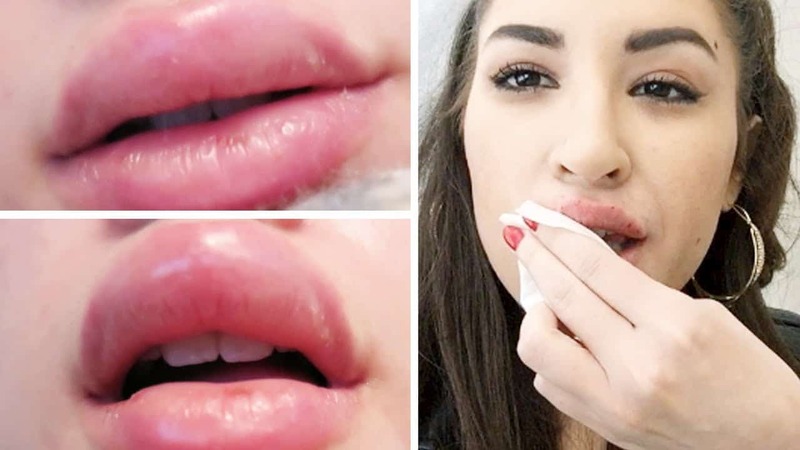 The plumping effect of hyaluronic acid lip fillers lasts for about 6 to 8 months, after which the hyaluronic acid gel will be absorbed into the body. Lip enhancement injections can safely be repeated. If there are unwanted results, the effects of hyaluronic lip fillers can be corrected with the enzyme hyaluronidase. Manufacturers are developing semi-permanent injectable fillers, consisting of synthetic microbeads round which the patient’s own collagen will form. Nonsurgical aesthetic services have exploded within the medical aesthetics industry and are highly sought after by consumers desiring rejuvenation without surgery, for which licensed medical professionals are given proper esthetic injection training. Over time, these fillers may be classified as permanent. The best permanent solution on the market today is a permanent lip implant, such as Advanta. This implant consists of polytetraflurorethylene, a soft, flexible material with a marshmallow-like consistency. There are several sizes available (in this, lip implants are similar to breast implants). The implant can also be customized by skilled, experienced plastic surgeons. Fat transfer is another revolutionary technique, using tiny amounts of the patient’s own purified fat to plump their lips. This technique, however, is still in its infancy. What Does a Beginner Need To Know About Keto Diet?